The art of inking thinking is a very serious business. To write is to express thoughts through written words therefore, a writer must see himself or herself as an information hub because what he or she writes make or mar lives. Here you'll know how to inculcate this art at a young age. It is expedient to inculcate in our young ones the discipline and art of writing right - for any attitude one imbibes during childhood and grows with it, is very hard to unlearn. If our young ones learn to write right today and sustain it, then we will be proud of the great writers they will become tomorrow. One virus destroying the good writing skills of our young ones in this day and age is what I term ‘Faddish Writing’, this is the act of writing stupid short forms like ‘tnks’ instead of thanks, ‘d’ instead of the, ‘mek’ instead of make, ‘c’ instead of see, et cetera. This improper shortening of words corrodes ones good writing skills and this is one of the reasons why many people today cannot spell correctly, write good essays or letters. If you must abbreviate a word, do it rightly. In libraries and bookshops, you can get good books, magazines and other resources free or at low cost. 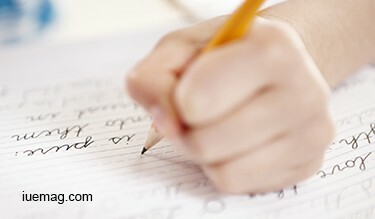 Devote time to study them and this will help you to learn how to write well. The world is a global and social media is one stop place you can learn diverse things but I advice you use it to learn good grammar and how to write right. Platforms like Twitter, Facebook, Blog, Instagram or Whatsapp are places you can connect with good writers and learn from what the dish out via their sagacity. Follow people who write well, observe how they structure their writing and this will help you better your writing skills. Find someone who is a good writer and learn from the person. You can learn by reading their published materials or one on one mentoring. Wisdom is not taught but caught, as you follow and observe this person, you better your best. There are schools that offer writing courses, if you have the money and time, enroll and get tutored, at the end you will be glad you did. Nothing good comes easy. You must be determined to better your writing skills. Learn to write daily, for this enhances your writing ability. Never give up on the journey to better your writing skills, for good writing skills positions you for success in life.